Murchison falls national park morning game drive and Afternoon boat cruise. 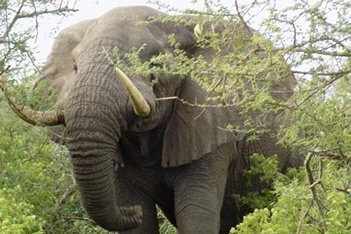 Murchison falls national park is Uganda’s largest park,therefore our 3 days Murchison falls safari will enable you experience a game drive that will see you view African Elephants, Giraffes, African Buffalos, African Lions, Leopards, Waterbucks and several bird species, then enjoy a 3 hrs BOAT CRUISE TOUR along the Nile here you view Murchison falls from the bottom angle, Hippos, Crocodiles, Antelopes and several aquatic birds can be seen along the shores of the River Nile. Hence making the 3 Days Murchison falls safari in Uganda amazing. 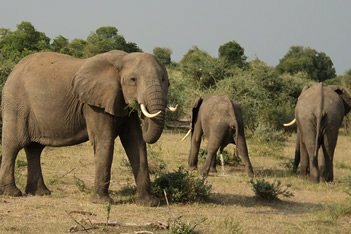 Day 2: Murchison falls national park morning game drive and Afternoon boat cruise. Begin your day with a cup of African coffee hence get ready for a game drive and sightseeing across the open Savannah dotted woodland and riverine vegetation along the Nile and Albert delta. 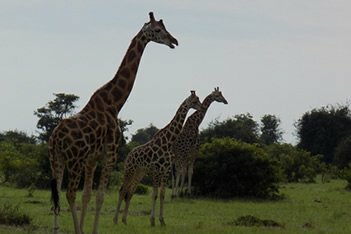 Here expect to meet African Elephants, Giraffes, African Buffalos, African Lions, Leopards, Waterbuck and a countless population of Birds, return to the lodge for breakfast and lunch then head for a 3 hrs boat cruise along the Nile as your assured to see the Murchison falls from the bottom angle, Hippos, Crocodiles, Antelopes and also Aquatic birds can be seen along the shores of the River, This 3 Days Murchison falls safari enables you stand a chance of viewing up to 80% of Uganda’s wildlife since Murchison Falls National Park is Uganda’s number one tour destination. Meal plan: Breakfast, Lunch and Dinner. Our 3 Days Murchison falls safari in Uganda will be coming to an end with a hike to the top of Murchison falls as viewed from the bottom while on the boat cruise, thereafter drive back to Kampala city. Meal plan. Breakfast and Lunch. Red chili Rest Camp and Bush lodge lazy Camping (Budget options).